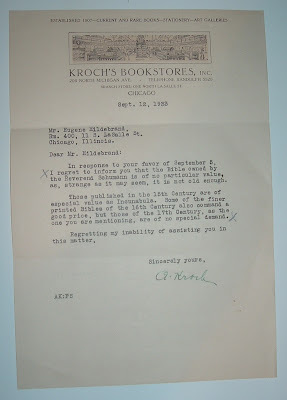 Here is a letter from Kroch's Bookstore in Chicago on company letterhead, dated Sept. 12, 1933. 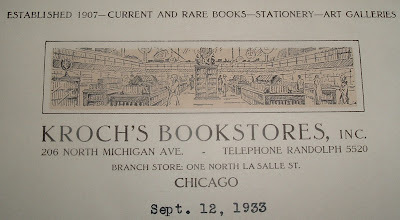 Kroch's was a twentieth century institution in Chicago, having gotten its start in 1907, by Adolph Kroch, as a German language bookstore. By the time this letter was written, the company had long since changed its business model to become an English language bookseller. Later still, under the guidance of Adolph's son, Carl, they would become Kroch's & Brentano's, the largest privately owned bookstore chain in the United States, with several stores around town. An innovative force in bookselling, their pioneering concepts in book display and store design became common throughout the industry. By 1993, though, Kroch's was facing serious challenges as changes were sweeping across the bookselling world. The big discount chains like Crown Books and Barnes & Noble were giving the independents a run for their money and running many off. Indeed, the New York Times reported on this, insinuating that bookselling would never be the same again. Well, they were right, and Kroch's & Brentano's closed its doors in 1995, but the Times' forecast did not include the tsunami that was forming and about to catch everyone off guard--the Internet's World Wide Web. Within several years, whatever havoc the big chain stores had wreaked upon the "little guys" the next revolution in bookselling--online, e-commerce--delivered the knockout blow for many. They simply could not withstand the one-two punch of competitive big chains and the Internet. The big bricks & mortar chains took their licks, too. Back to the halcyon days of this letter... Adolph Kroch is responding to a Mr. Hildebrand about a 17th century Bible that belonged to a Rev. Schumann. I take it the Bible was in Mr. Hildebrand's possession and he was trying to determine if it had any value for Mr. Kroch. Evidently, it didn't, as Mr. Kroch explained in no uncertain terms. Fifteenth century, as Incunabula, and some fine printings of sixteenth century bibles, yes, but nein for 1600s. I got to thinking about that. Seems to me there would have been some value there. Then again, this was more than 75 years ago and it may not have had much value to a bookseller, but I couldn't believe that was true today. A quick check produces Bibles of that vintage for sale in high three-figures and also in four figures. 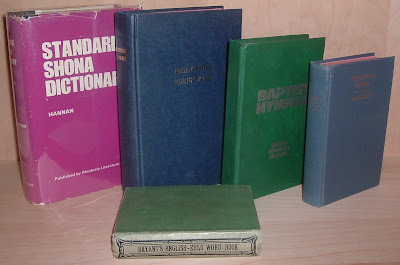 Condition and collectible points for particular Bibles could send prices much higher. Inflation? Or jut a change in collector interest and collectibility? Both, perhaps, and don't forget to factor in the economy of the Great Depression. But a general statement about Bibles of an entire century, the 1600s, not having enough value, even in 1933, because of the century in which they were published, still seems hard to swallow. As I just used the Internet for a general search, maybe the Internet would have helped Mr. Kroch research this particular Bible and its previous owner, Schumann, on a deeper level and make a better assessment of its value. But he had to rely on his own knowledge of rare books and his business experience to make a determination. These are rare tools for many Internet-age booksellers who rely on quick-search databases and hand-held scanners to make their determinations about a book's value. I stand guilty of the former, but am learning, with experience, to consider criteria beyond Internet search results. Like Adolph Kroch had to do in 1933 on a full-time basis. So who am I to question Kroch's judgment of a book's value, in his times, just because I find value in it today? My judgments come not from experience with rare Bibles, but with one rare Bible. One handed down to me through ten generations, dating back to 1732 and my Pennsylvania German immigrant ancestors. They bought a German Bible back home to take on their voyage to America and their new home. I am a temporary steward of this book and for me it's priceless, regardless of what any bookseller or Internet search results might have to say about it. I recently posted here a 1900 billhead for F.F. Hansell & Bro. 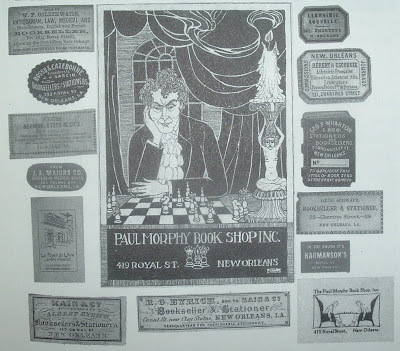 of New Orleans and received a comment the other day from a gentleman who had found a Hansell label in the back of a book in his library. I was envious, wished I had one, and wondered what it looked like. Well, the book gods smiled on me that day or pure dumb luck kicked in because the same day I received the comment I found a book while out scouting used books that also contained a Hansell label. What are the odds? Granted, my label was on a printed page among other labels from New Orleans book shops, but I don't get too nitpicky with serendipity. 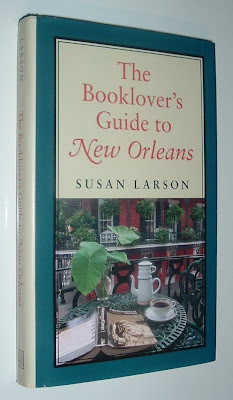 The book was a gift out of the blue: The Booklover's Guide to New Orleans, by Susan Larson, with additional research by Kevin McCaffrey; Louisiana State University Press, Baton Rouge, 1999. The images aren't coming out too great, but hopefully the enlarged sections below will present the individual labels better. Color would have been nice, but it's still interesting to see so many representations of these hard-to-find labels on one page. Having recently corresponded with Frank DeFreitas over at Antiquarian Holographica about certain historical sites in Philadelphia, I guess the Philly force was with me yesterday when I was out scouting for books. I found a decent copy of The Story of Young Benjamin Franklin, by Wayne Whipple (Henry Altemus Company, Philadelphia, 1916). Whipple wrote a series of children's books portraying famous Americans such as Washington, Lincoln, and Franklin. He also wrote about American icons such as the Liberty Bell and the American Flag. I might have passed on the Franklin book if not for what was tucked inside as a bookmark--a contemporary brochure from the publisher, Henry Altemus. An Altemus book and nothing to do until tomorrow. Oh, joy! The brochure opens up into a front-and-back listing for Altemus' 20th Century Books for Boys and Girls. One side lists the books by the series for which they were written. The opposite side features illustrations depicting the front covers of a sampling of those books. Altemus published more than just children's books, but the juvenile series seem to have been more popular and perhaps what the publishing firm is best remembered for. In 1904, Altemus scored a major coup with the first American edition of Beatrix Potter's Peter Rabbit. Her London publisher, Frederick Warne & Co, had failed to secure the American copyright and Altemus seized upon the opportunity to publish Potter's first book. His juvenile series books had their beginning in 1909 and lasted into the 1930s. When Henry Altemus died in 1936, the company expired also. Henry Altemus and the Henry Altemus Company (1842-1936) was a popular and prolific Philadelphia publisher which started as a bookbinder and evolved into a publisher of photographic albums, bibles, decorative reprints of fiction, religious and moralistic books, juvenile series books, fairy tales, puzzle books, etc. And the rest, as the old saying goes, is history. I've had a draft of this post sitting in the hopper for a week or so, but feel compelled to finish it now because of something posted about this site in the Fine Books & Collections blog. Exile Bibliophile referenced this site for the book shop labels that have appeared here before. It's been infrequent of late (thanks, though, for the mention), but I found several recently in a batch of books originally sold in Africa. Scouting for books a few weeks ago, I stumbled upon an intriguing 1950s/60s collection of hardcovers from Rhodesia and Central Africa: Bryant's Abridged English-Zulu Word Book, Zulu Bibles with titles like Ibhayibheli Elingcwele and Itestamente Elitsha (New Testament), Baptist Hymnals compiled in Shona, Ndebele, and Chewa, and The Standard Shona Dictionary, to name several. These titles, along with certain inscriptions by the previous owner, indicated they belonged to a missionary working there 40 to 50 years ago. There were other generic titles dealing with religion, horticulture, and geography that bore the same owner's name. Scattered among these books were several book shop labels representing the country of Rhodesia, now known as Zimbabwe. These labels provide an historical record of bookstores that once pioneered the literate landscape in that African country's culture. My interest and reason for collecting these minuscule artifacts of book trade ephemera have everything to do with the tiny clues they often provide in my own discovery of history and other cultures. Injecting just a snapshot bit of history of Rhodesia... Cecil John Rhodes (1853-1902), founded the country named after him in 1889, when he obtained a Royal Charter from Queen Victoria, to explore and develop the area. Actually, there was already a confluence of settlement in the area about that time with factions of the Zulu nation having recently arrived before the white explorers. The Shona, wandering tribesmen from the north and east had also migrated to this area and had forcibly removed the native inhabitants, Kung San, better known as the Bushmen. I mention this background because of its relationship to the books I found. These dictionaries, reference books, Bibles, and informational texts primarily dealt with the Shona and Zulu people of the area. The British pioneers brought their ideals and standards, and surely bookstores and related businesses were a direct outgrowth of the settlers' desire to import their culture into their new home in Africa. 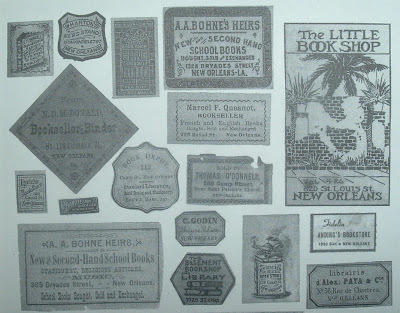 Booksellers, publishers, and printers set up shop soon after British colonization of the area began. Indeed, the labels above unveil history and insight into a society's values because the trades they advertise were established early in the country's settlement. A civilized society must have books! The first label is for Philpott & Collins, whose history in Rhodesia dates back to 1902 with its establishment in Bulawayo as a bookseller and stationer. As this 1950s label indicates, the business eventually opened bookstores in Salisbury (capital) and Gwelo. Business grew and the company went public in 1956. Twenty years later in 1976, they were purchased by Phoenix Brushware. Today, after mergers, growth, and more acquisitions, this turn-of-the-century colonial Africa bookseller still exists as a business dealing in stationery and office products and furniture. They are now part of the Apex Corporation, a manufacturing and trade concern. 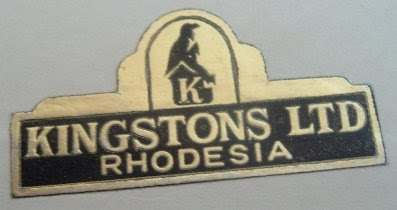 Kingston Ltd appears to still be in the business of selling books, but I can't find any information about their history. I have found mention of Kingstons published books as far back as the 1950s and of a Kingston's (with apostrophe) Bookshop there in the 1920s. Ellis Allen, however, appears to have been a pioneering bookseller, publisher, and printer in Rhodesia based on the few related books I can find. The earliest instance is an 1896 publication by Ellis Allen. As Rhodes and British settlers arrived a short seven years before, Allen surely was one of the first book tradesmen to hang up his shingle in that part of the world. As for Willoughby's Buildings, I believe that is a physical address, in lieu of a street number. I have found mention of another business at Willoughby's Buildings in 1909. 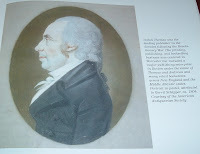 How is current day (2009) French publisher, Hachette Livre, connected with a post-American Revolution bookstore founded in Boston in 1784 by a man named Ebenezer Battelle? 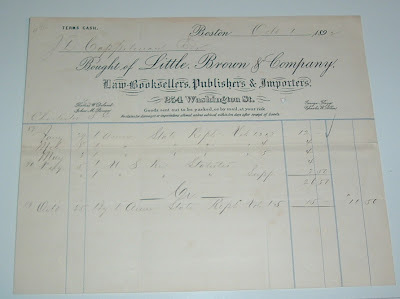 That venerable old Boston publisher, Little, Brown & Company, is the link between the two. They (Charles Little and James Brown) got their start with Carter, Hilliard & Co. (directly or indirectly, as indicated further down), eventual successors to Battelle’s bookstore, and went into business for themselves in 1837. Today, they are one of many publishers comprising French publishing giant Hachette Livre. Here's a billhead for Little, Brown & Company, dated 1892, which I recently acquired. What got my attention on this was the business description underneath the company name: Law Booksellers, Publishers & Importers. Publishers, what they're known for today and for the last half century and more, gets second billing. But the modifier Law is what grabbed my attention. I was ignorant of the fact that this publisher got its start as a law book specialist (as was I ignorant of the fact that the company is now French-owned). Readers and bookstore browsers over the last fifty-plus years got used to seeing Little, Brown and Company on the spines and title pages of books by authors such as Norman Mailer, J. D. Salinger, Gore Vidal, Evelyn Waugh, P. G. Wodehouse, and Herman Wouk. More recently, it's been Stephenie Meyer, whose Twilight series about Vampires has become the publisher's all-time bestseller. But they didn't venture into fiction and general publishing until the 1890s, about the time of this billhead. The company’s genealogy has its origins in a Boston bookseller named Ebenezer Battelle, who in partnership with printer/publisher Isaiah Thomas, started one of the earliest bookstores in the newly independent United States. Thomas formed partnerships with many booksellers during the 1780s to build a distribution network for his publishing business. 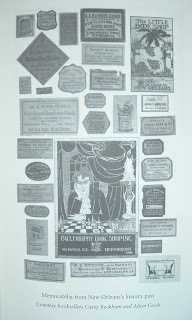 But Thomas is also known as the "father of ephemera," and creator and benefactor of the American Antiquarian Society in Worcester, Massachusetts, which was formed in 1812. In the early 1800s, he set about collecting and preserving the books and papers and historical artifacts of the young country. This collection, some 8,000 pieces in all, was donated to the fledgling society. Photo from The Book in America, by Richard W. Clement (Fulcrum Publishing, 1996). From the Ephemera Society of America: "America’s first great ephemerist was Isaiah Thomas (1749-1831), founder of the American Antiquarian Society and a printer who recognized the significance of printed ephemera as part of the evidential record." Battelle and Thomas appear to have parted company prior to 1788, as that was the year that Battelle joined the Ohio Company of Associates (a land company) and headed to the Old Northwest for a new life there. A series of owners succeeded Battelle and Thomas in their bookstore, including the firm of Carter, Hilliard, and Co., which eventually hired Charles C. Little to run things. The bookstore's name changed again, this time to include Little: Hilliard, Gray, Little & Wilkins. But the company, or part of the company, was sold in 1830, and the original proprietors removed to another location where they resumed business and prospered. This is where the law book specialty seems to originate along with imported works. This company history gets about as confusing as any family history that genealogists wade into this deep. To wit, one James Brown, who worked for Hilliard & Brown (another Hilliard ?) joined up with Little (of the original Hilliard firm?) in 1837 and together they became the new proprietors of wherever it was that Little had been working. Clear as mud? Well, the Charles C. Little & James Brown Company was born, but by 1847, Augustus Flagg had joined the company and they changed the name to Little, Brown and Company. Finally! A name they could stick with. And the name has remained unchanged ever since. You might have noticed the name Flagg on the billhead as one of the four officers in the company. That is actually the son of Augustus Flagg. And the Brown listed is the son of James Brown. So the family blood did continue for some time. I found these images of Little and Brown in an old Publisher's Weekly article, dated June 11, 1898, which also provided some clarity in the bloodlines of this company. Little, Brown and Company continued with their law book specialty, but published and sold other nonfiction titles as well. Their most successful venture was John Bartlett's Familiar Quotations, first published in 1859 and revised and expanded nine times during Bartlett's life. Pictured to the left is another recent acquisition--The Ninth Edition of Bartlett's Familiar Quotations. Interesting (spooky?) how these things tie together in my acquisitions sometimes. Bartlett was actually a partner in Little, Brown and Company, having joined the firm in 1859, the year his Familiar Quotations was published. That book became the leading seller for the firm. Fast forward to the 21st century and familiar quotations give way to vampires (Stephenie Meyer's Twilight series mentioned earlier). Tastes do change, but fortunately the name of the publisher has managed to remain consistent for more than 150 years now. Despite presently being owned by a company in France.